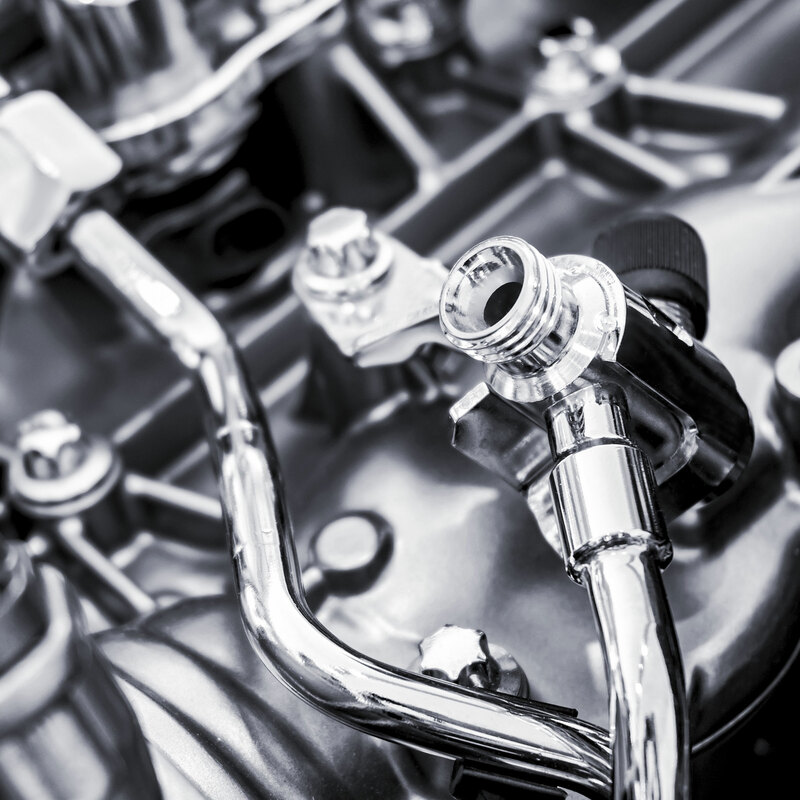 We are committed to making every component accurate and well finished. To achieve the best possible range of finishes have invested heavily in the necessary equipment. 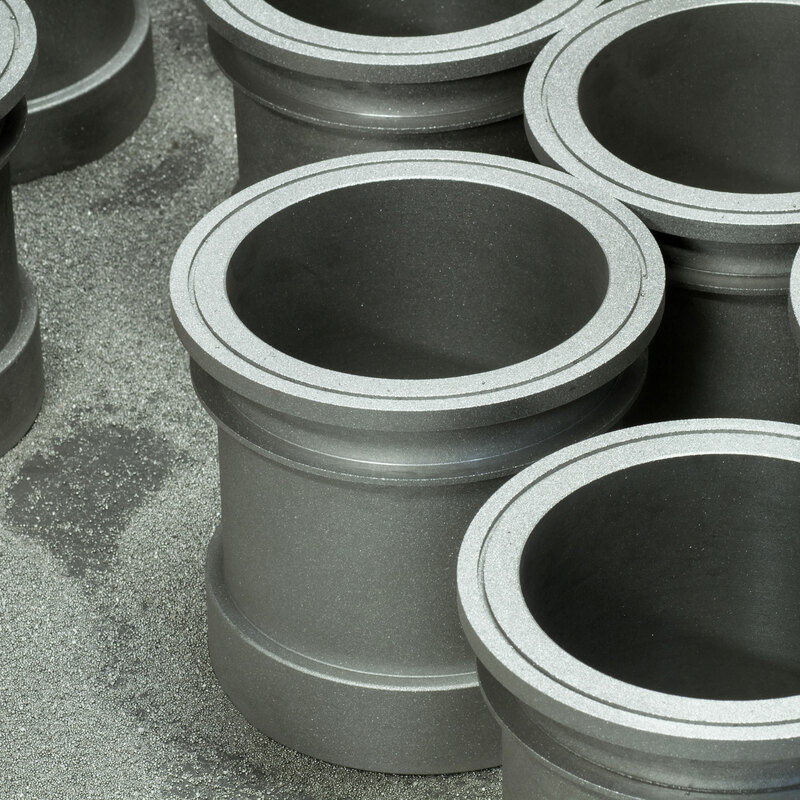 Bead blasting provides a satin uniform finish to your parts and leaves them clear of any marks. The main benefit of this is that we are able to do this after your parts have been fabricated or machined regardless of a complex shape. Once bead blasted, the parts can be coated or left with the satin effect depending on the use. 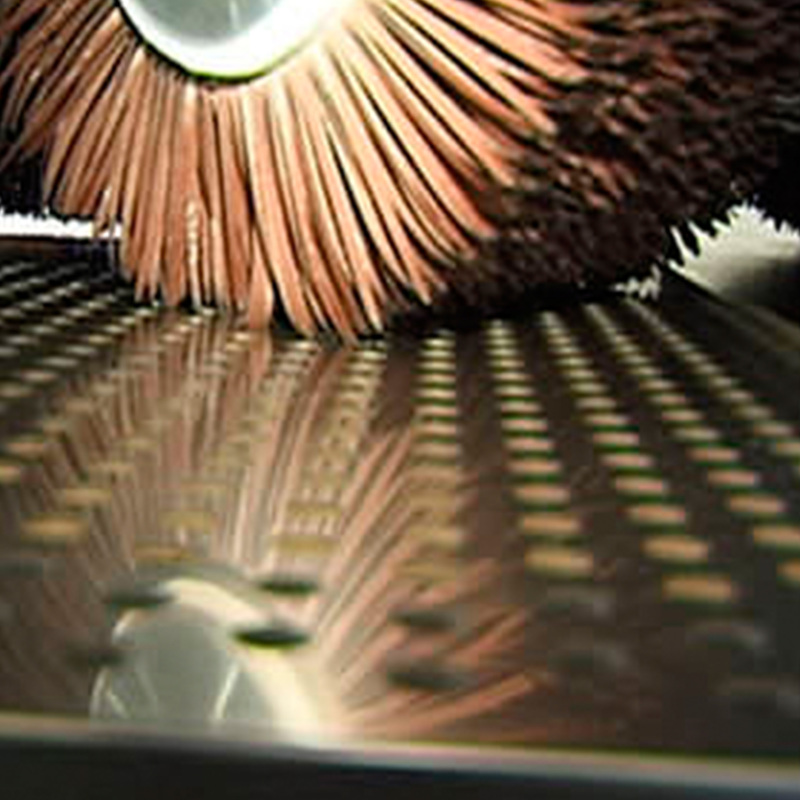 We offer in house graining on items of sizes up to 650mm wide and 200mm thick. This finish gives the impression of a single direction brushed effect. 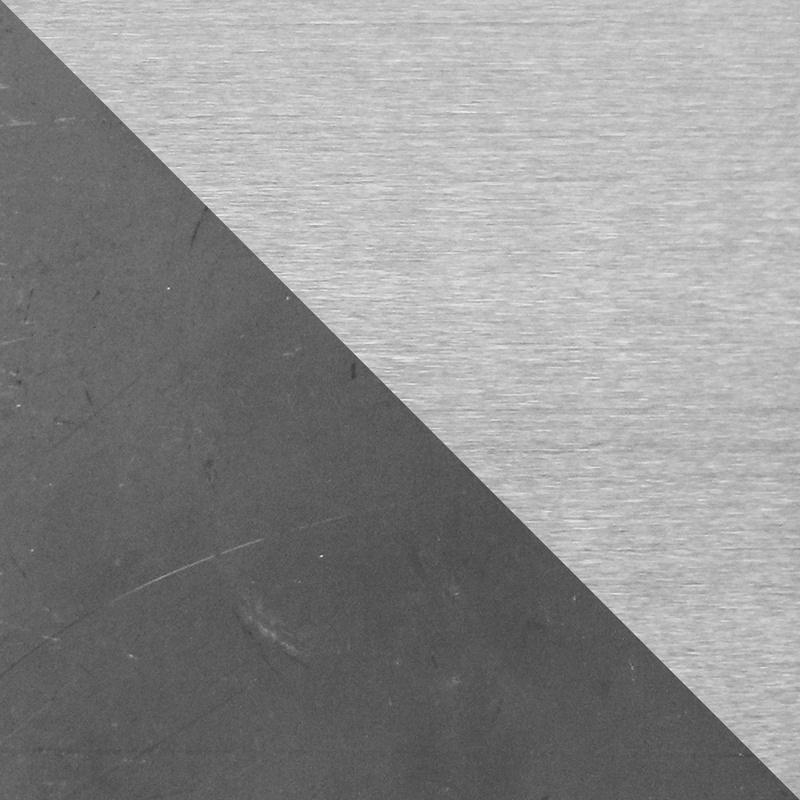 This finish is mainly used on stainless steel but is also available on other materials. We offer a polishing service for fabricated, machined or laser cut parts and also hold stock of both stainless steel mirror polished tube and sheet. 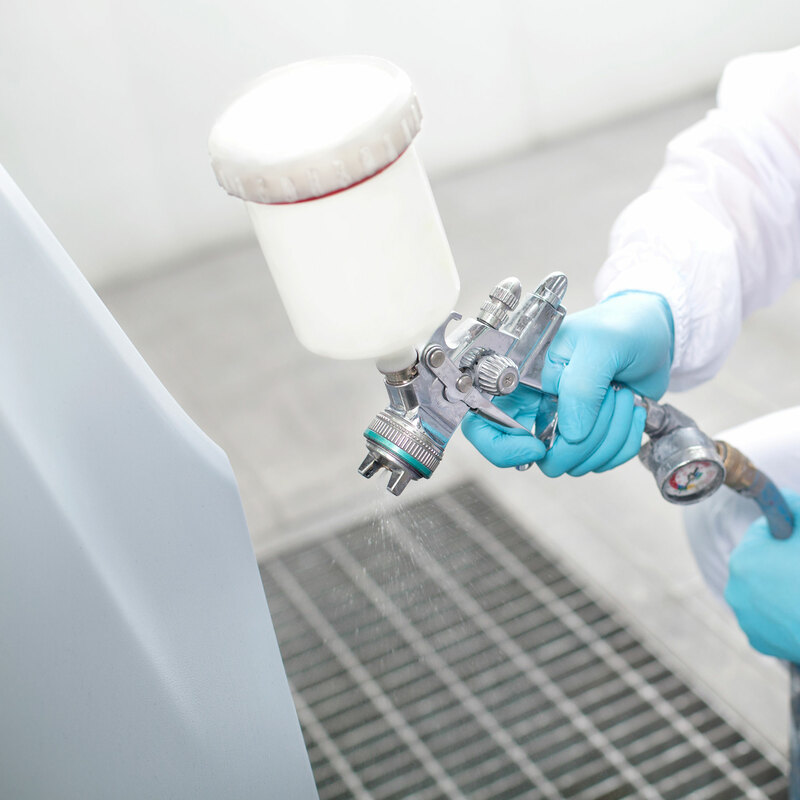 We work closely with a number of local companies in order to offer high quality plating and painting in order to suit your specification. For a uniformed deburred edge of both Lasercut and machined components we have a Fladder Gyro 200 that can deburr up to 1200mm wide and save you the job of having to deburr parts that gives a quality feel and look. 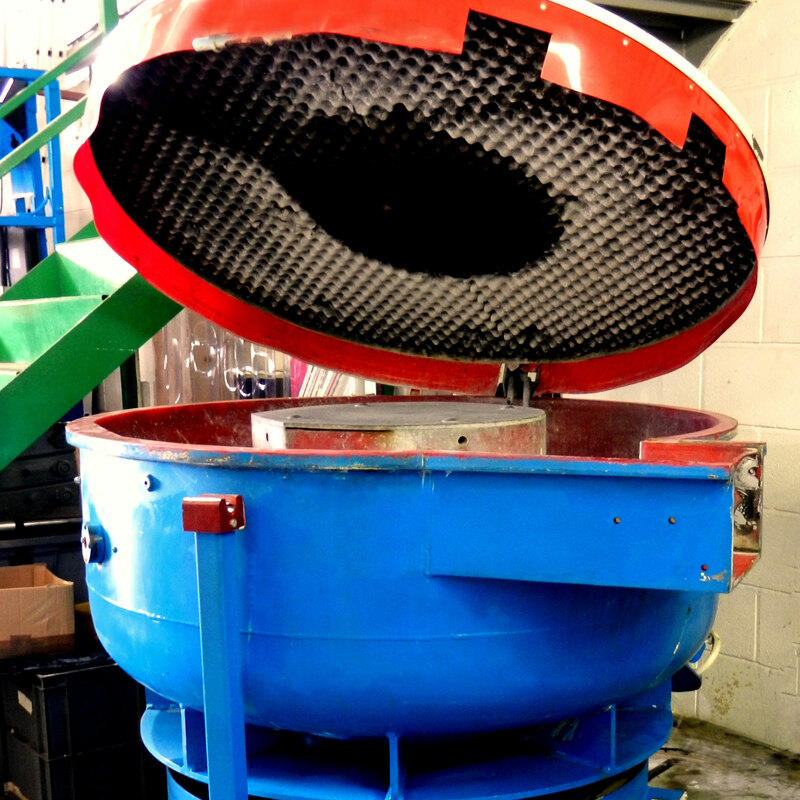 If required, we use a ‘vibrating cabinet’ to ensure your parts will arrive completely free from burrs. The components will have a dull finish to them as standard. However, if you choose, the parts can have a polished finish with the use of a different media. Send us a message and we’ll get back to you as soon as possible to discuss your requirements. © Copyright 2019 DC Developments (Engineering) Ltd.